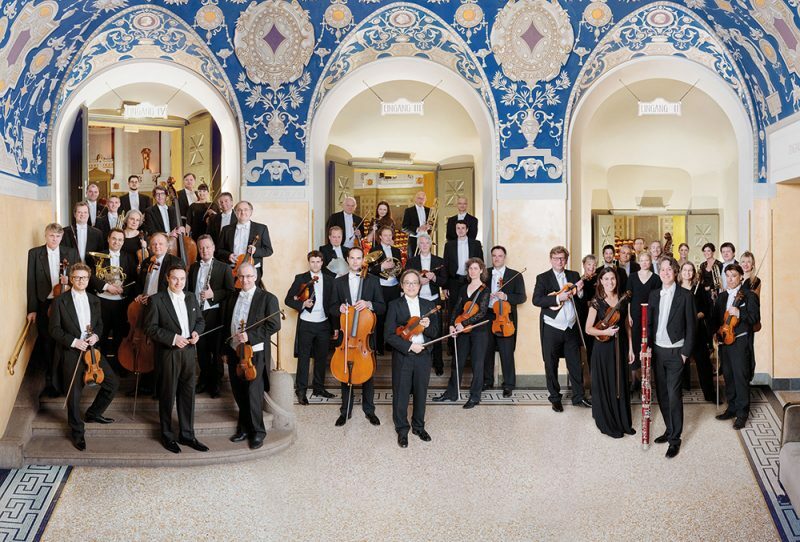 Founded in 1952, the Munich Radio Orchestra can look back on a 65-year history during which it has evolved into an ensemble with a vast artistic range and a versatility that ensures its place in Munich’s orchestral landscape. Concert performances of opera with outstanding vocalists (in the Sunday concerts) and sacred music of the 20th and 21st centuries (in the Paradisi Gloria series) are no less part of its philosophy than educational outreach concerts for children and young adults, entertaining thematic concerts in its ‘Wednesday at 7:30’ series and live performances of film scores. Its other crossover programmes, from jazz to video game music, demonstrate time and again that the Munich Radio Orchestra stands at the cutting edge of our era. The first principal conductor of the Munich Radio Orchestra was Werner Schmidt-Boelcke (1952–67), a master of “superior light music”. He was followed by Kurt Eichhorn (1967–75), famed among other things for a legendary Orff cycle. Heinz Wallberg (1975–81), Lamberto Gardelli (1982–85), Giuseppe Patané (1988–89) and Roberto Abbado (1992–98) placed a sharper focus on opera while expanding the orchestra’s range in instrumental music with concert broadcasts and promenade concerts. From 1998 to 2004 the principal conductor was Marcello Viotti, a man with a special passion for French and Italian opera. The success of the Paradisi Gloria concert series, founded in the sacred year 2000, was also largely his doing. Ulf Schirmer, the artistic director from 2006 to August 2017, placed fresh accents with world premières of newly commissioned works in the Paradisi Gloria series and interesting rediscoveries from the opera and operetta repertoires. The new chief conductor since the beginning of the 2017/18 season is the Croatian Ivan Repušić. At his request the orchestra has instituted an annual artist-in-residence programme, beginning with the Latvian soprano Marina Rebeka. In the 2018/19 season the percussionist Simone Rubino will be artist in residence at the Munich Radio Orchestra. In 2006 the Munich Radio Orchestra launched a long-term collaboration with the August Everding Theatre Academy, in which operas are prepared on a regular basis for stage productions in Prince Regent’s Theatre. 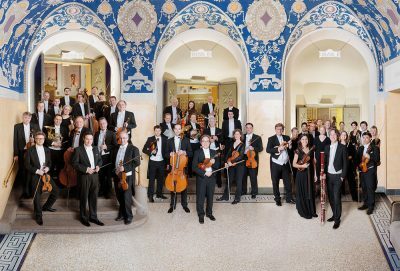 Another sign of its commitment to young artists is its involvement in various competitions, including the Munich International Competition (ARD-Musikwettbewerb). Finally, much of its time is devoted to work with children and young adults, based on a “triple tier” model of advanced teacher training courses, school visits by musicians and follow-up concerts. Another permanent institution is the “Klasse Klassik” project, in which schoolchildren appear alongside members of the Munich Radio Orchestra (and sometimes the Bavarian Radio Choir) in the Munich Philharmonie. The Munich Radio Orchestra’s activities on its home turf are regularly augmented by guest appearances in such renowned venues as Baden-Baden Festival Hall, the Golden Hall of the Vienna Musikverein, the Bad Kissingen Summer Festival and the Salzburg Festival. On these occasions it has performed with artists of the stature of Edita Gruberová and Diana Damrau and accompanied Anna Netrebko and Plácido Domingo at the Salzburg Festival. Further highlights include a tour with Jonas Kaufmann as well as guest performances at the Opéra Royal in Versailles and Vienna’s Theater an der Wien, featuring newly unearthed operas in conjunction with the Palazzetto Bru Zane Foundation. Thanks to its CD recordings the Munich Radio Orchestra has become a lasting presence on the sound recording market. Especially worthy of mention are its many complete recordings of music theatre pieces and its portraits of such singers as Sonya Yoncheva, Marina Rebeka, Krassimira Stoyanova, Pavol Breslik and Klaus Florian Vogt. In 2018 two CDs with the soprano Véronique Gens received the International Classical Music Award (ICMA): a live recording of Camille Saint-Saëns’s opera Proserpine and a compilation of French arias under the title Visions.